Freddie Mercury, a true champion of the world. 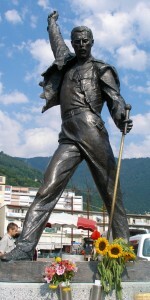 His statue stands on the Montreux waterfront. What did Charlie Chaplin and Freddie Mercury have in common? Both famous, yes! Both gay, no! 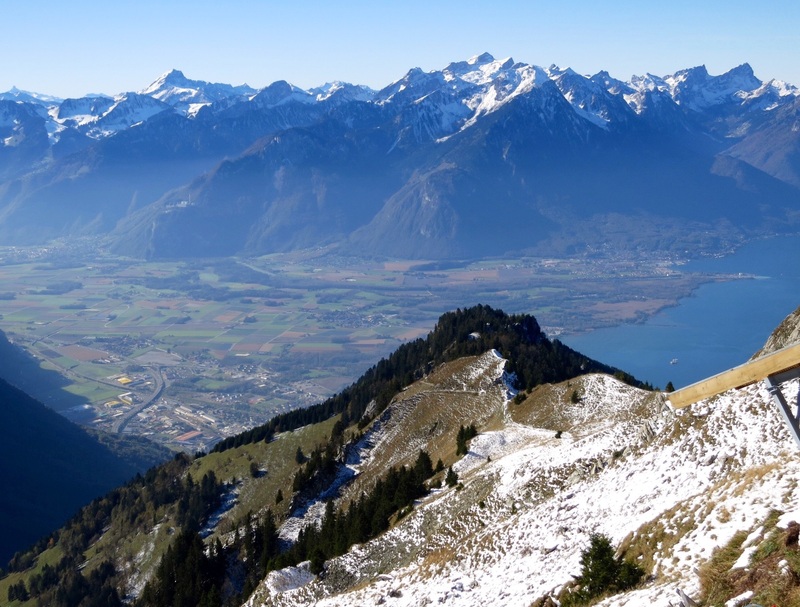 However, both did live on the Montreux Riveriera near Lausanne in Switzerland. 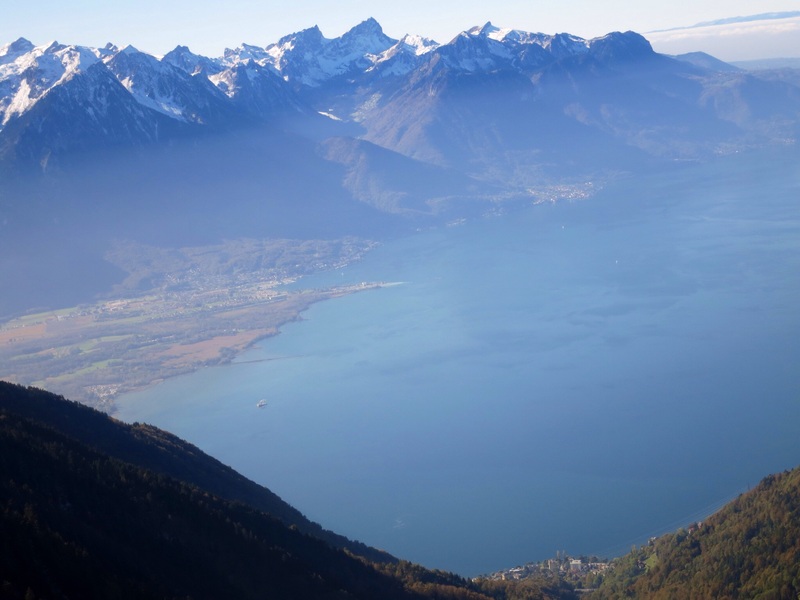 This corner of paradise has stunning natural beauty with UNESCO World Heritage vineyard terraces looking across crystal clear Lake Geneva and crowned by snow capped alps. What’s not to love? 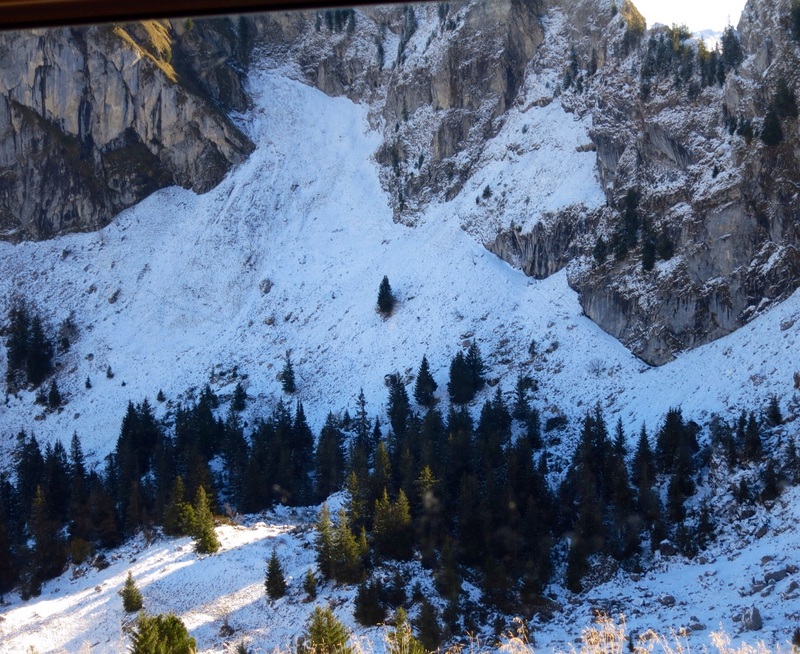 Our visit to Montreux in early October coincided with one of the first snow falls of the season. 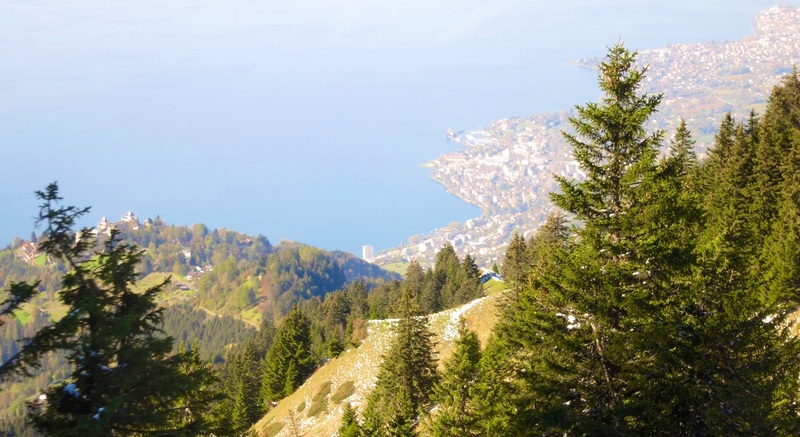 Situated right on the shores of Lake Geneva, Montreux is an outstanding place for a day trip from Lausanne, or a few nights in a chalet to ski the alps. We arrived by train in Montreux and decided to catch the cog railway from Lake Geneva to the summit of Rochers-de-Naye. 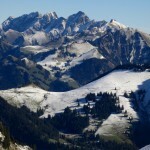 The small crowded narrow gauge train made its way slowly up the mountain, past rich green pastures where black and white goats lazily grazed the hillsides and picture postcard Swiss chalets dotted the landscape. 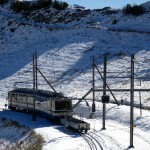 The rail line operates via the village of Glion, on the mountainside above Montreux, where there are a number of very famous hotel management schools. 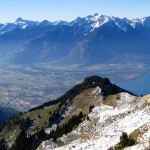 Half way up, the views above Lake Geneva are amazing and snow starts to appear on the ground and clings tightly to the branches of trees. 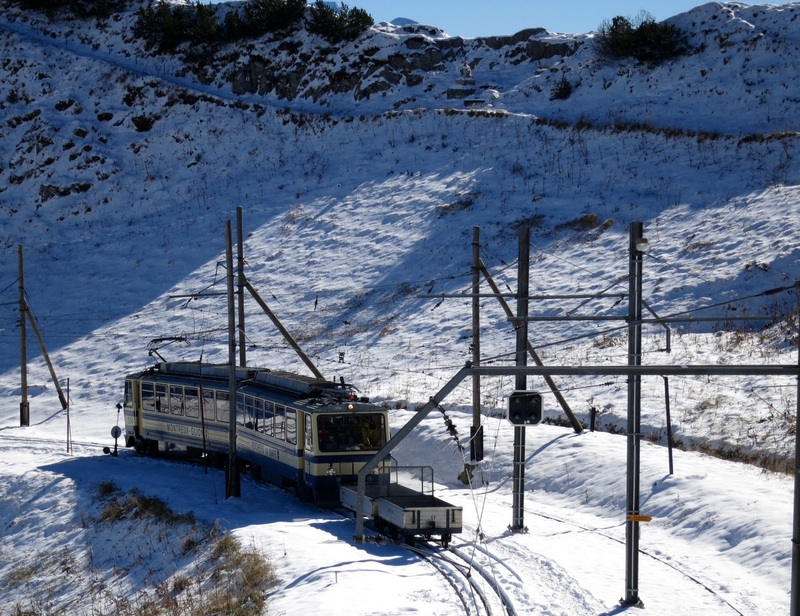 After a memorable 40 minute ride in the train we arrived at the summit to see the majestic beauty of the mountains, sculpted by ice and melting snow, standing proudly; the iconic symbols of Switzerland. On the day we were there the sky was so blue and clear that you felt as if you could reach up and touch the snow caps. 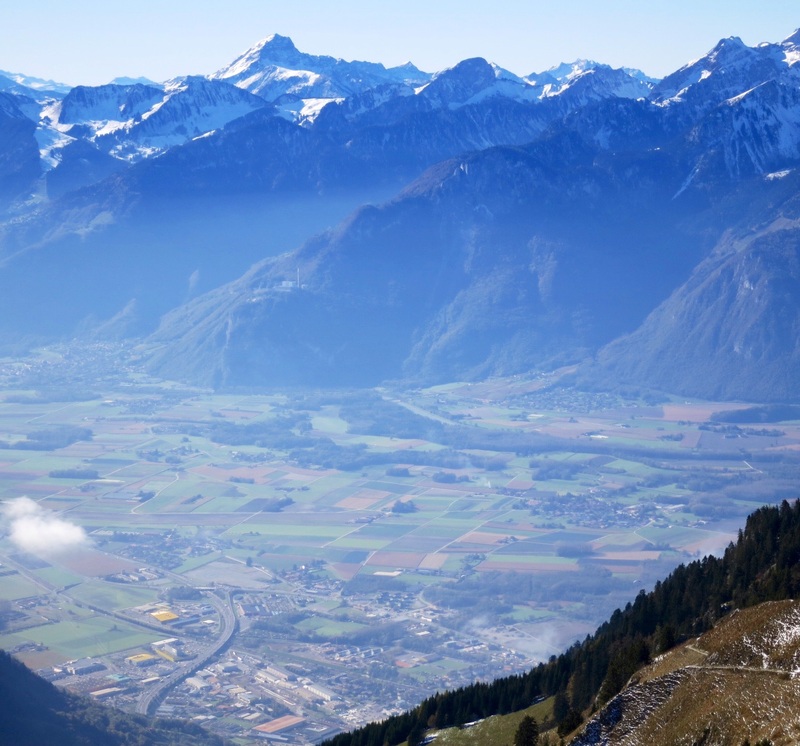 The breathtaking beauty of Switzerland is like something from a fairy tale. 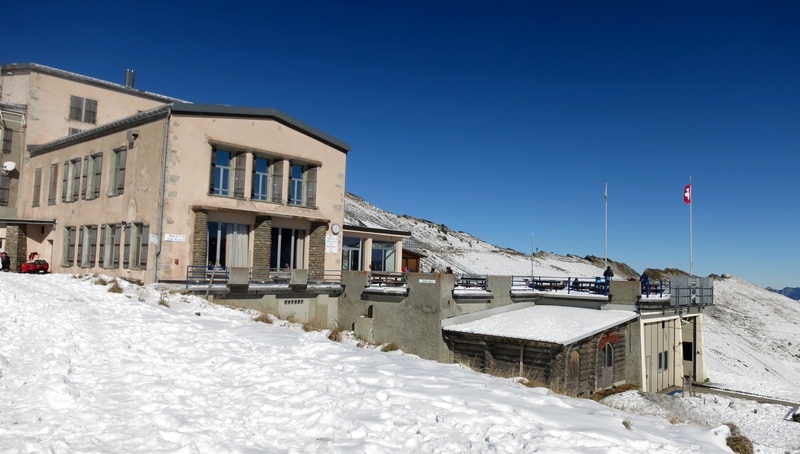 The Rochers-de-Naye Hotel is where we enjoyed our lunch and this hotel also provides overnight accommodation onsite. 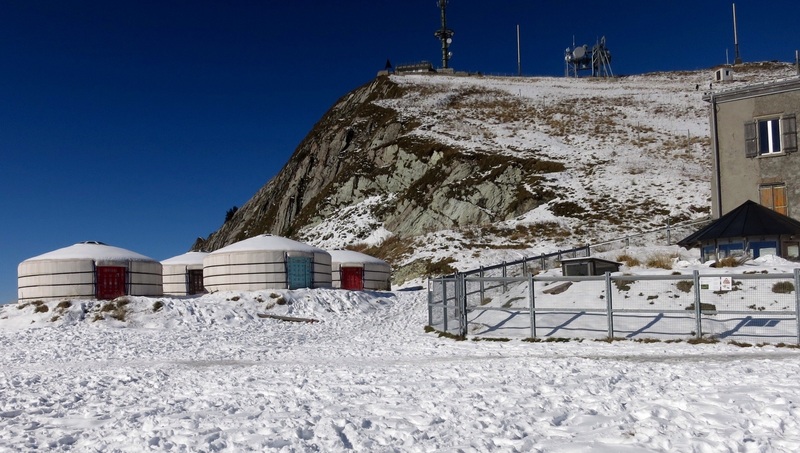 For those very keen to get the full alpine experience, it is possible to stay in an authentic Mongolian yurt located at the back of the hotel. When lunch was finished we were keen to get out into the snow to build our snow man. Outside the hotel the air was cold, crisp and clean. The sun was shining and with relatively few people around at this time of the year, it was simply perfect. 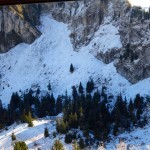 Of course in the height of the ski season this area is packed with skiers. The ground was covered with about a metre of fresh snow from the evening before and it was soft and powdery to walk on and perfect for a snow ball fight. After a couple of hours on the summit we rode the train down the mountain and the panorama of the scenery seemed even more spectacular than on our ascent. 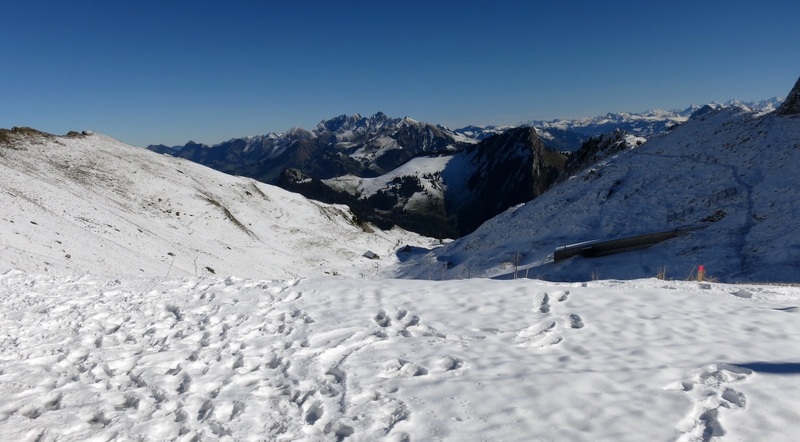 We were fascinated by the mountain flowers, the dripping snow covered roofs of the chalets and the aerial view of awe inspiring Lake Geneva. 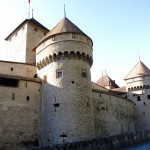 When we arrived back in Montreux a visit to Chillon Castle was next on the agenda. To find the castle, go out of the railway station, cross the street and you will find a bus with a sign saying Chillon Castle. The bus takes about ten minutes and if you have time the forty minute walk beside the lake is also very pleasant. 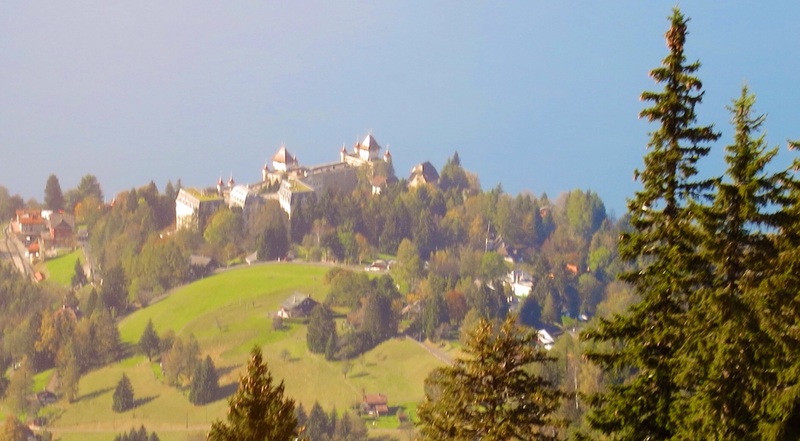 The castle is the number one tourist attraction in Switzerland. From the mid 12th century the castle was the home of the Counts of Savoy and, over the centuries, it has had many owners until 1803 when it became the property of the state and a monument for public use. Leave at least two to three hours for your visit as there are more than forty rooms to see. 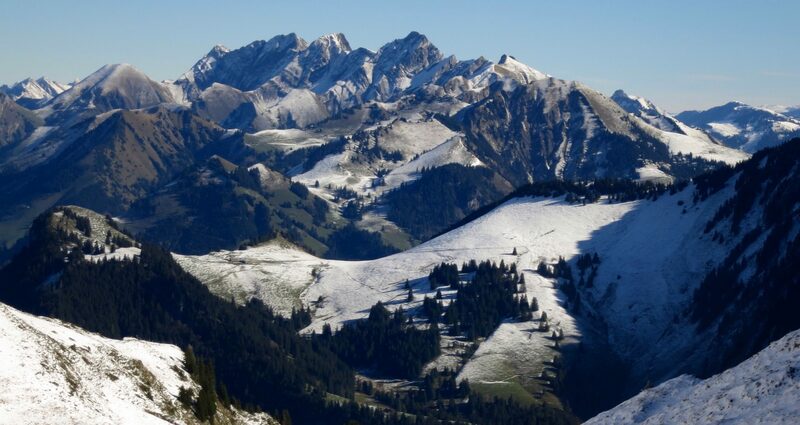 The view of the Swiss Alps becomes more spectacular as you reach the summit. 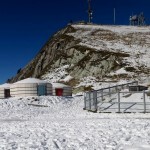 You can opt to stay in a Mongolian yurt or the hotel itself. 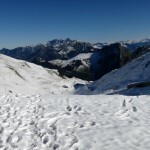 The amazing panorama on the descent from the mountain slopes. 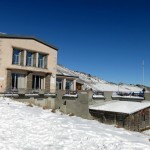 The Rochers-de-Naye Hotel high in the alpine slopes above Montreux. A slow but very scenic ride on this unique rail system. 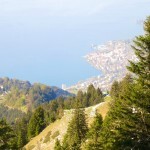 The view back to the coastline of the Montreux Riviera. 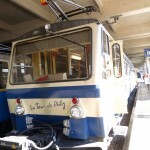 The cog train which takes tourists to the top of the mountains above Momtreux. 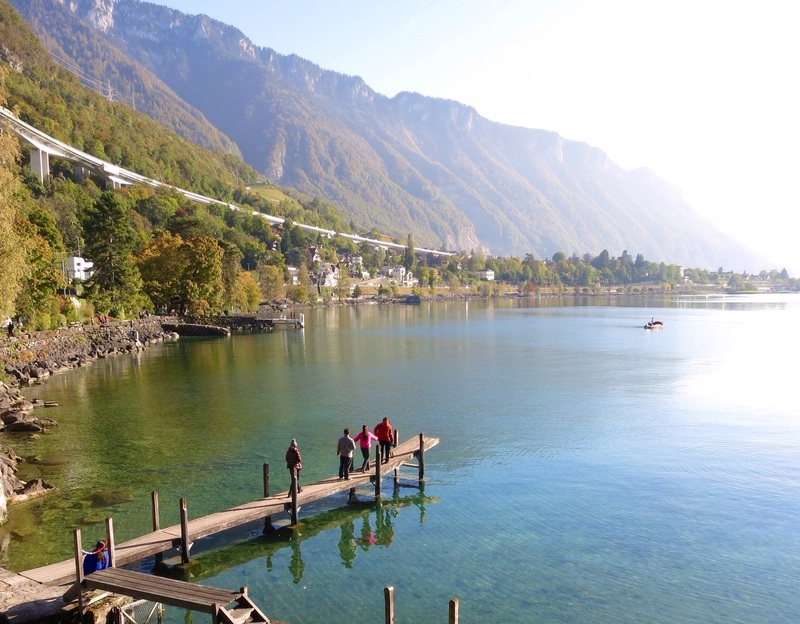 Take in the spectacular view across the lake from the pier outside the château. 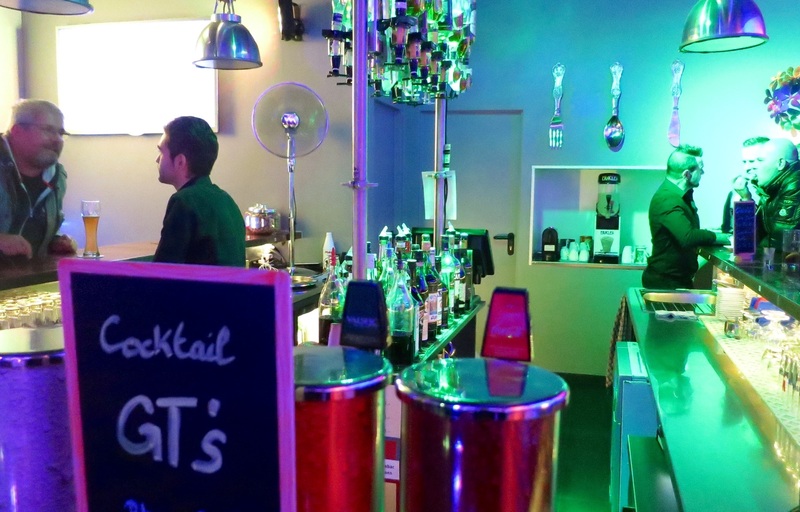 Finish your busy day of touring with a cocktail or two at GT’s back in Lausanne. Leave a few hours to complete a thorough tour of this historic residence. 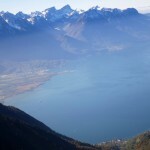 Lake Geneva from the top. 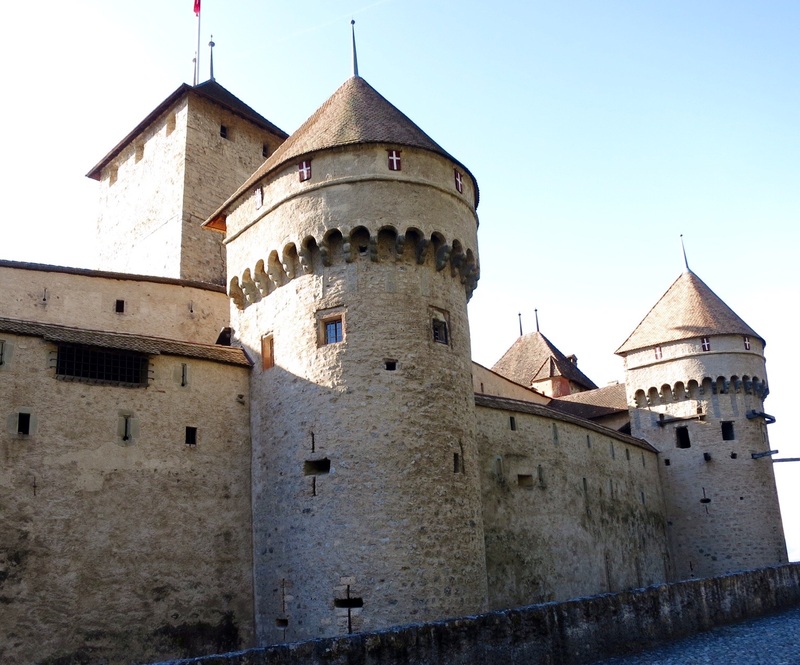 A highlight for us was the prison in the dungeon of Chillon. Lord Byron, wrote the poem The Prisoner Of Chillon (1816) about François de Bonivard, a Genevois monk and politician who was imprisoned here from 1530 to 1536. Byron also carved his name on a pillar of the dungeon. At the end of the tour take a stroll to the small pier near the castle. It’s a great place for photographs and from there you can also catch a boat back to Montreux. 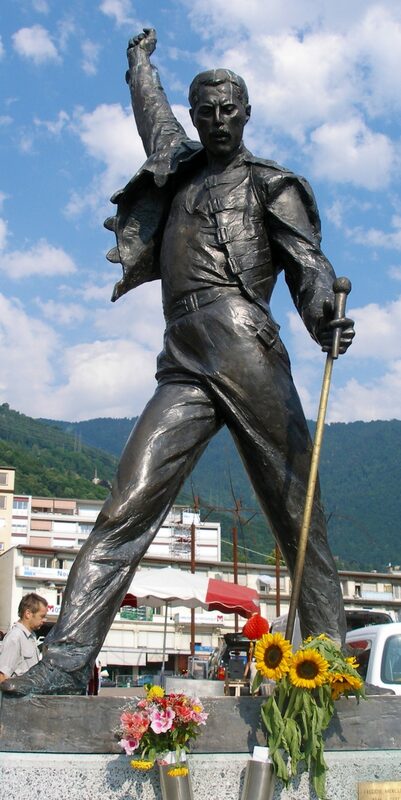 On the water front you can see a statue of Freddie Mercury which commemorates his time in Montreux. The bronze statue of Freddie erected here in 1996 still attracts fans who place flowers by his monument every day. An interesting fact is that Freddie recorded his last album with Queen – “Made in Heaven” at his Montreux studio. 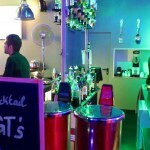 Back in Lausanne that evening we tried out a highly recommended gay bar called GT’s. This is a very modern, spacious bar with contemporary and pop art adorning the walls. The lighting has been deliberately applied to the artworks to play tricks with the colours and designs and the effect is mesmerising. The two men who were behind the bar greeted us enthusiastically and we were soon set up with drinks which were reasonably priced by Swiss standards. Of course, as with all of Europe, they were very generous with the quantity of spirits served. It appeared this bar had a wide appeal as the patrons were from a variety of age groups. The music and atmosphere were quite chilled and perfect for a conversation among friends. Every hour the guys behind the bar brought us a complimentary shot of Baileys mixed with café cream which was just delicious. At the end of the night they insisted on us having a complimentary hot chocolate before we left. This was the real deal. Fine quality Swiss chocolate in a small coffee cup and the texture was more like molten milk chocolate than the usual cup of hot chocolate milk. What a treat! We can highly recommend this bar for a welcoming relaxed time and to top off a great day in the Montreux Riviera. So, what do Freddy and Charlie really have in common? Their taste in a place to call home was nothing less than impeccable; besides the fact they were both true ‘Champions of the World’.